Chase after John Wilkes Booth and his accomplice David Herold in a private tour of 1-6 people on this detailed 8.5-hour tour. Start at Ford's Theatre and travel the flight path with a personal guide. Visit the Surrat House, Dr. Samuel Mudd's Home, and St. Mary's Church and Graveyard to see every site Booth stopped at during his daring escape. Enjoy round-trip transportation and lunch to keep your strength up as you take your own escape path through history. Enjoy worry-free transportation from your hotel to Ford's Theatre, not only the beginning of your 8.5-hour tour, but also the site of a pivotal moment in American history. Follow your personal guide as you explore the moments leading up to Abraham Lincoln's assassination and the heart-stopping actions of John Wilkes Booth. Experience this tour with your private group of 1-6 people along the daring escape route of John Wilkes Booth. 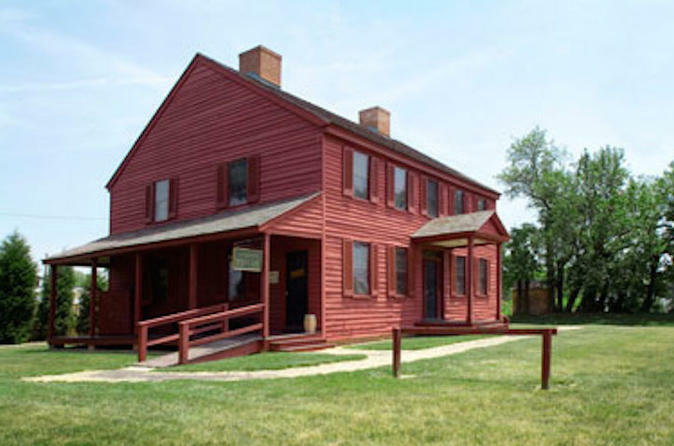 Visit the Surratt Tavern, where Booth and his accomplice David Herold acquired their "shooting irons" as they fled the Federal Army. Continue on their escape path to Dr. Samuel Mudd's Home and see where Dr. Mudd set Booth's leg. Uncover Booth's plan as you travel to St. Mary's Church and Graveyard, where Booth and Dr. Mudd met six months before Lincoln's assassination and where Dr. Mudd is buried. For lunch, stop at a local restaurant for a deli sandwich. 8.5-hours includes travel time between sites, lunch, and tours inside each location.